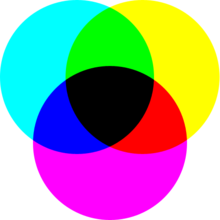 Colour is a property o licht as seen by fowk. Ilka colour haes a different wafflenth. This page wis last eeditit on 13 Februar 2018, at 23:53.